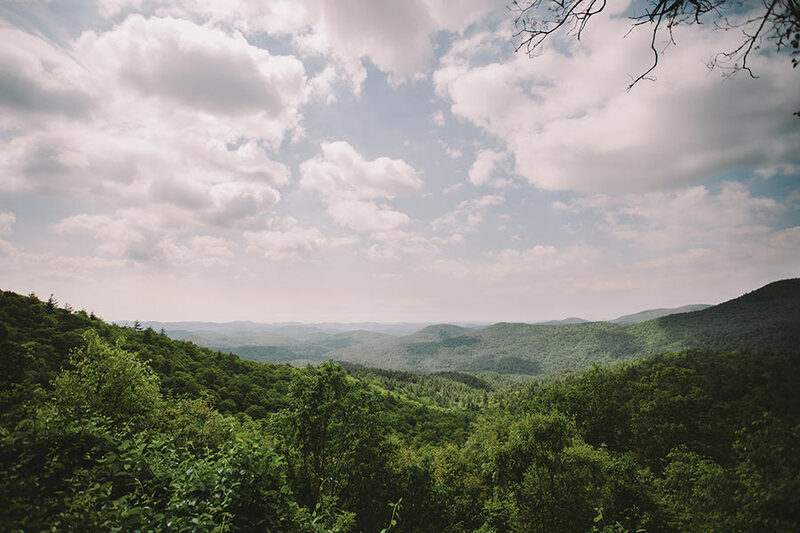 No longer just a summer retreat for wealthy retirees and their families, Highlands, North Carolina, has become a year-round destination for the young and upwardly mobile. There was always a predictability to Highlands. Just before Memorial Day Weekend, families and retirees from places like Atlanta, Charlotte, and Winter Park, Florida, arrived, swelling the population of this four-stoplight town in the southern Appalachian Mountains from 1,200 to 30,000. They’d settle into vacation homes, shop for pottery at Stone Lantern, dine on veal medallions at Wolfgang’s, and walk to SweeTreats for ice cream. Most of their friends back home had never heard of Highlands. It lacked the tourist attractions of Gatlinburg, Tennessee, and the size of Asheville. Highlands was a cocoon where generation after generation of families would spend a leisurely, seventy-two-degree summer, then pack up and leave after Labor Day. Today, the only thing predictable in Highlands is the temperature, which is at least ten blessed degrees cooler than the rest of the South on any given day. While summer remains high season, the town now welcomes visitors throughout the year. (Even in December, 88 percent of the hotel rooms are full on weekends, and shops that once shuttered during the winter compete in holiday window-display contests.) The town’s shift from secret summer enclave to popular year-round destination has contributed to a business boom, as new restaurants, shops, and arts attractions find their places alongside city stalwarts, who’ve extended their seasons and offerings. Mountain Fresh Grocery is one of the most talked-about transformations in town. In 2007, JT Roberts purchased the aging Main Street grocery, selling his residence in Atlanta and turning his Highlands vacation home into his primary one. He has since turned the store into a popular eatery, complete with house-ground burgers, made-from-scratch breads, and wood-fired pizzas. Families pick up prepared meals to take back to their vacation homes, while young couples nosh on Reubens and drink Asheville’s Gaelic Ale on tap. Mountain Fresh Grocery, Highlands, North Carolina. C. Orrico is also shaking things up on Main Street. Debra Cler opened the women’s boutique in 2011 after she left her home in Palm Beach and moved to Highlands, her favorite vacation spot, full-time. It’s the only C. Orrico location outside south Florida, selling Lilly Pulitzer dresses and Trina Turk bikinis to shoppers hungry for a splash of pastel. Even business owners who have been around awhile have gotten in on the action. Xiaotian Wong, owner of clothier Potpourri since 2002, opened a second location with an emphasis on gifts and accessories in 2011, then added a Potpourri-branded eyewear store in 2013. She now sits at the helm of more than 3,000 square feet of retail space along Main Street—and she’s wondering what other shopping holes she can plug. It’s not just Main Street that’s changing. Up the road, you’ll find the Bascom, once a modest gallery housed inside a library and now an impressive visual arts center set on six rolling acres. It moved there in 2009, changed its name from the Bascom-Louise Gallery to the Bascom, and began courting some serious names in the art world. Elton John frequently loans the center photography from his extensive collection, and the works of Frida Kahlo and Ansel Adams have also graced its walls. 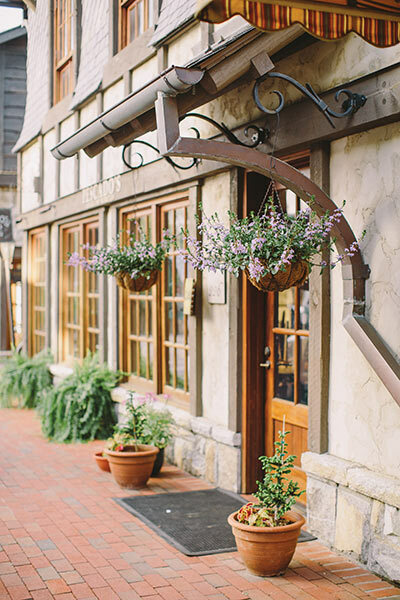 Madison’s Restaurant | Awarded four diamonds by AAA, Old Edwards Inn’s flagship restaurant is known for its Carolina-influenced fare and extensive wine list. 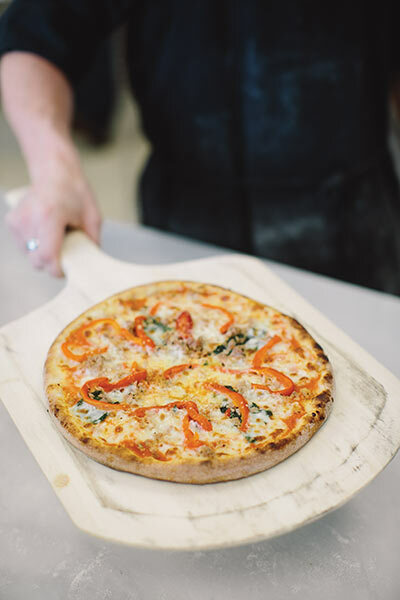 Mountain Fresh Grocery & Wine Market | This casual spot is a pizza parlor, American grill, wine shop, provisions store, and community hangout in one. Paoletti Ristorante | Since 1984, this family-owned spot has wowed Highlands with upscale Italian cuisine and a 1,000-bottle wine selection. SweeTreats | A Highlands favorite since the eighties, this cozy shop custom-blends ice cream with toppings to create a rainbow of flavors. The Ugly Dog Public House | Just a block off Main Street, this friendly bar features kicked-up pub grub (try the seasoned fried fish wrap) and live music on weekends. Wolfgang’s Restaurant & Wine Bistro | A fine-dining mainstay for more than twenty years, it offers cuisine with both German and Creole influences. To understand Highlands today, one must understand the Highlands of yesterday. In 1875, the town was founded by developers who predicted it would eventually become a great center of commerce. Their logic? If you draw a line from New York City to New Orleans and another from Chicago to Savannah, they cross in western North Carolina, at a mountain crest 4,118 feet above sea level. They named the place Highlands for its elevation, failing to consider that this characteristic would also serve to isolate it. Indeed, roads to and from Highlands were muddy and treacherous until improvements were made in the 1920s, and the town’s growth was far slower than developers had hoped. Instead of a bustling metropolis, Highlands became a summer retreat with a small year-round population that increased as much as sixfold during the warm months. Legendary golfer Bobby Jones was one such summer visitor, and so enamored was he with the town, he founded Highlands Country Club and its attending golf course in 1928. It was the first private golf club and community in the area; today, there are nine. Little changed until the 1970s, when developers began buying up land and residents scrambled to control their town’s growth. The local cosensus? No big-box stores. No hotel chains. No fast-food joints. Cranes were eyed warily; zoning meetings were the stuff of legend. And so it went until 2001, when Highlands allowed one of the largest downtown real estate transactions in memory and the townspeople inhaled a collective gasp. Art and Angela Williams purchased Edwards Inn, a historic boardinghouse-turned-hotel, and its accompanying restaurant, Central House, renaming the combined property Old Edwards Inn. Initially, the deal encompassed about a block; all told, it would expand to three blocks, plus three off-site special occasions venues and a private golf course. The Williamses were no strangers to the area; high-school sweethearts from Cairo, Georgia, they had grown up vacationing with their families in Highlands. “That’s when we fell in love with it,” Art says. Art later made his fortune as a pioneer of term life insurance; when he sold A.L. Williams & Associates in 1989, he walked away with $90 million. Forty-seven years old and effectively retired, he and Angela began traveling the world. As they did, they kept returning to the same thought: Highlands needs a luxury, European-style hotel. In spite of the opposition—or perhaps because of it—the Williamses spared no expense in bringing their vision to life. They hired acclaimed Atlanta-based architect Keith Summerour to unify the historic buildings with an Old World design, and Angela decorated each room herself with antiques she handpicked during her travels. In 2008, they hired Richard Delaney away from Sea Island Resort to serve as president and managing director, and under his guidance, the inn began recruiting interns from European hospitality schools. According to Art, nearly one-third of all Old Edwards Inn employees are European-trained. The hard work and financial risks paid off. Both the resort and its spa have earned four stars from Forbes; AAA gave the property four diamonds. 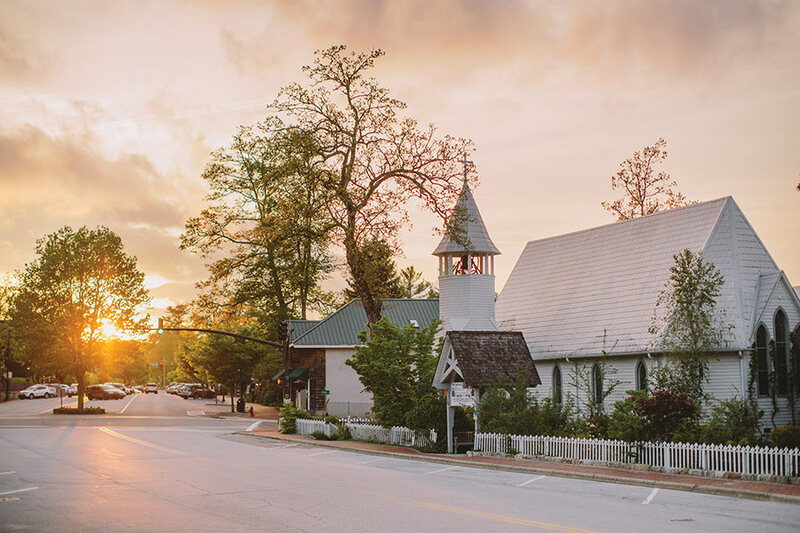 In 2014, Conde Nast Traveler readers named Old Edwards Inn the forty-fifth best hotel in the world, the fourth-best in the country, and the best overall in the South. C. Orrico | Carrying Palm Beach–inspired apparel, it’s the only C. Orrico location outside South Florida. Highlands Mountain Paws | This pet boutique sells a range of gifts for cats and dogs, including all-natural treats made in nearby Waynesville. Nancy’s Fancys | This Main Street favorite run by a husband-and-wife team sells high-end clothing for women and men. Stone Lantern | This longstanding home decor store specializes in ikebana containers the owner finds during his extensive travels. But Old Edwards Inn isn’t the only contributing factor to Highlands’ growth. As digital connectivity expands, a growing number of city dwellers have discovered they can sell their primary residences and work from their vacation homes in the mountains. 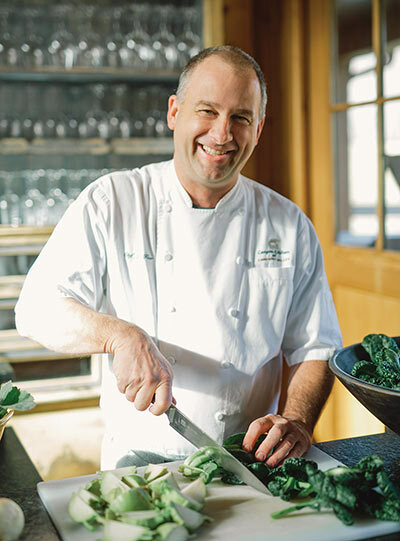 Former Blackberry Farm Executive Chef John Fleer, who now helms Canyon Kitchen in nearby Cashiers, says he’s noticed it’s easier than ever for people to leave their cities without leaving their jobs. “People are realizing they don’t necessarily have to live in the rat race to be in the rat race,” he says. The Bascom | Exhibits at this sprawling visual arts center feature everything from crafts to collages to outdoor sculpture. Highlands Playhouse | The state’s oldest theater, it presents professional productions such as Godspell in the summer. Highlands/Cashiers Chamber Music Festival | Celebrating its thirty-fourth season, this summer concert series draws world-renowned musicians. Highlands/Cashiers Players | This troupe offers theatrical productions such as Proof and Steel Magnolias at the Martin-Lipscomb Performing Arts Center. The Episcopal Church of Incarnation, Highlands, North Carolina. Of course, all growth is not good growth. Towns sprawl. Streets crowd. Community spirit starts to fade. But Art Williams says Highlands has become the Aspen of the East—not a cautionary tale. He believes local businesses are simply making necessary changes to satisfy visitors, not selling out. “We’re maintaining the character of the town,” he insists. Once a place of predictability, Highlands has grown in ways few could have guessed. A host of new businesses welcomes travelers young and old from around the globe every season of the year. It’s not a secret hideaway anymore; it’s a top-tier destination. One hundred forty years after developers drew lines between the country’s busiest cities and placed a pin at their intersection, Highlands has finally landed on the map. >> CLICK HERE FOR MORE PHOTOS FROM HIGHLANDS. 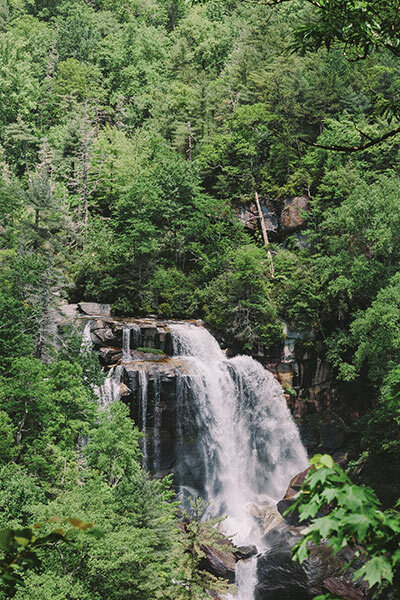 Less than twenty miles northeast of Highlands, the unincorporated villages of Sapphire and Cashiers (pronounced “Cashers”) are outdoorsy communities known for their rock-climbing, fly-fishing, and hiking. Don’t miss Canyon Kitchen, headed by John Fleer, former executive chef of Blackberry Farm and a three-time finalist for the James Beard “Best Chef in the Southeast” award. Set in a converted barn in Sapphire’s Lonesome Valley community, the restaurant opens onto acres of meadows and incorporates produce from its on-site garden into locally inspired dishes. Diners may opt to book pre-dinner spa treatments at the newly opened Canyon Spa, just steps from the restaurant. Half a mile down the road, Mica’s Restaurant (828-743-5740) offers casual fare such as pizza and a salad bar. Also, spend some time in charming downtown Cashiers. Grab a latte at Bucks Coffee Cafe (828-743-9997), then browse nearby shops like TJ Bailey, Francie Hargrove Design Boutique, and Brookings’ Cashiers Village Anglers. In the summer, popular Cornucopia Restaurant lets diners enjoy Southern fare on the screened porch of a former cottage; order the Creek Salad—locally raised, smoked trout topped with black-eyed pea salsa and citrus over a bed of greens. This article was published in the Spring/Summer 2015 issue of Southbound magazine.